Narratives of monastic life in Anglo-Saxon England depict individuals as responsible agents in the assumption and performance of religious identities. To modern eyes, however, many of the 'choices' they make would actually appear to be compulsory. 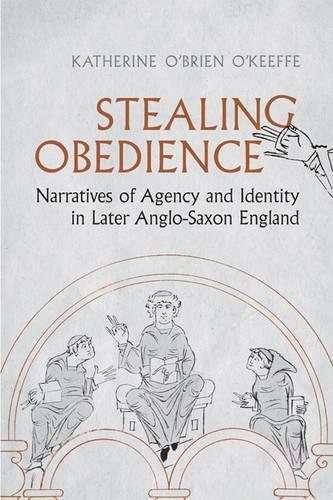 Stealing Obedience explores how a Christian notion of agent action - where freedom incurs responsibility - was a component of identity in the last hundred years of Anglo-Saxon England, and investigates where agency (in the modern sense) might be sought in these narratives. Katherine O'Brien O'Keeffe looks at Benedictine monasticism through the writings of Aelfric, Anselm, Osbern of Canterbury, and Goscelin of Saint-Bertin, as well as liturgy, canon and civil law, chronicle, dialogue, and hagiography, to analyse the practice of obedience in the monastic context. Stealing Obedience brings a highly original approach to the study of Anglo-Saxon narratives of obedience in the adoption of religious identity.